It’s that time of year again. The festivities are over (sob!) and a new year has begun. 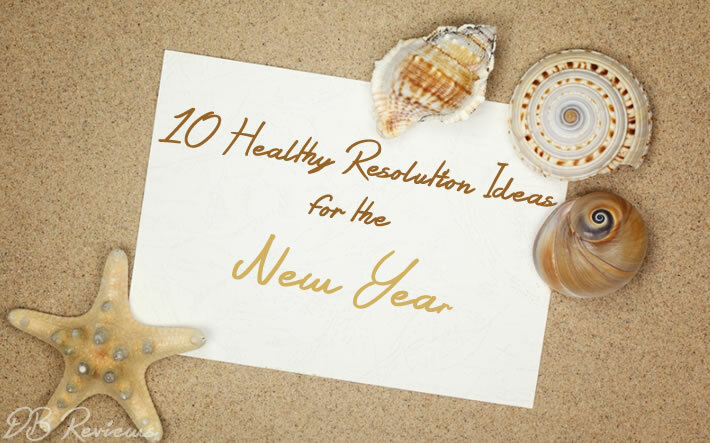 If you’re like millions of people around the world, you’ll no doubt be writing up resolutions of how to improve your health this year. However, with the media telling us a million and one different things about how to get fit and healthy, it can be easy to get carried away with unrealistic goals. Your Body Mass Index is usually the best way to measure whether your weight is within the ‘normal’ range. To work out your BMI, simply divide your weight in kilos by your height in metres. An ideal BMI is somewhere between 18.5 and 24.9. The best way to achieve long-term, permanent weight loss is to exercise regularly and eat a well-balanced, calorie-controlled diet. If you feel that might be a bit tricky to achieve after the excesses of the festive season, a diet and exercise plan may help you get back on track. Studies suggest that people who have stronger family ties and a reliable group of friends tend to live longer. Having friends and family to rely on and share your life with can reduce your stress levels and keep you healthy. Are there old friends you could get back in touch with? Or relatives who could do with a call? Making just a little more effort to maintain those relationships could do you the world of good. Stress is a silent killer. Chronic stress has been linked to depression, obesity, heart disease and many more health issues. To combat stress, try to find a work/life balance that makes you happy, and set aside time for restorative activities, whether that’s meditating, reading a book, or just taking a walk in the park. In addition, studies suggest that simply eating a healthy diet and exercising regularly can have a huge impact on reducing your stress levels. Yes, there are some benefits to be gained from drinking in moderation, but drinking to excess on a regular basis can also have a hugely detrimental impact to your health. The NHS recommends that men should drink no more than three to four units a day, and women should stick to between two and three units. Avoid drinking on consecutive days, and stick to your recommended daily allowance. Two units of alcohol equate to a standard glass of wine. A lack of quality sleep over a prolonged period of time has some pretty obvious effects on a person’s energy levels, frame of mind and concentration levels. Take the necessary steps to get a good night’s sleep, for better physical and mental wellbeing. This New Year, promise yourself you won’t approach exercise as a short-term means to an end. Instead, look for ways to integrate regular exercise into your daily routines. This might mean getting up early every morning and exercising before you start your day. It could simply mean walking to work instead of taking the car, or joining the local football team. There has been a lot in the press lately about the sugar, fat and salt content in processed foods. It can seem like a bit too much effort to cook everything yourself, but by cooking from scratch, you can control exactly what you consume. A diet low in processed sugar and salt will help you to lose weight, and live a generally healthier lifestyle. Staying hydrated is crucial to your overall health and wellbeing. Drinking lots of water with meals can also help you to feel full more quickly, and should improve your skin complexion. Fish are an excellent source of protein. Low in saturated fats, white fish are especially versatile in terms of cooking and can keep you fuller for longer. The omega-3 fatty acids in oily fish such as mackerel and salmon are good not only for your heart health, but also your joints, and even your mood. To reap the long-term benefits, you really need to exercise rigorously, at least three to four times a week. However, if you find yourself getting bored of your routine, it can be tempting to quit, so you need to keep things interesting. Try and broaden your exercise horizons by looking for new, exciting activities that will get your heart pumping and your lungs working. Kiqplan fitness programs, for instance, deliver workout videos and lifestyle advice based on data from a connected activity tracker. These coaching apps also provide you with feedback on your performance levels to keep you motivated.